Oscar Wilde was a flamboyant personality and a prolific writer towards the end of the nineteenth century, writing many plays, poems, fiction pieces and other essays. His writing is peppered with wit, humour and shows a great depth of understanding about the way people behave within society. He married Constance Lloyd in 1884, and had two sons (in 1885 and 1886). Unfortunately, his glittering career was destined for a tragic and untimely end when he was accused of homosexuality. …nothing in the whole world is meaningless, and suffering least of all. 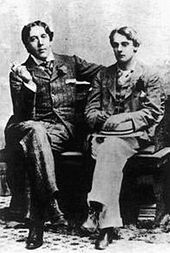 In 1891, Wilde had met a 21-year-old man called Lord Alfred Douglas and, becoming infatuated with him, began a stormy affair. Douglas was a spoilt, vain, extravagant young man, who was often insolent and demanding, and Wilde lavished large amounts of money and gifts on him. Their relationship was quite tumultuous, and was frequently punctuated with fights and disagreements, but always ended with reconciliations. Whilst Wilde’s previous homosexual associations had been within his own social circle, Douglas began to introduce him to the underground gay prostitution scene in London. Soon he was regularly meeting and consorting with young, working class men, which was a sharp diversion from his previous pattern of behaviour, and probably indicates the level of influence that Douglas had over him, despite the 16-year age difference. The gods had given me almost everything. But I let myself be lured into long spells of senseless and sensual ease. I amused myself with being a flaneur, a dandy, a man of fashion. I surrounded myself with the smaller natures and the meaner minds. I became the spendthrift of my own genius, and to waste an eternal youth gave me a curious joy. Tired of being on the heights, I deliberately went to the depths in the search for new sensation. Douglas was reckless in public with his lack of discretion about his homosexual tendencies, and in this very conservative Victorian era it was an invitation for trouble. He and his father, the Marquess of Queensberry, had never had a good relationship, and the Marquess was vehemently opposed to his son’s lifestyle. After a while, the Marquess began to suspect that there was more than a mere friendship between Douglas and Wilde, and – in his brusque manner – began to make some very confronting allusions to his suspicions. Wilde had managed to fend of several of these confrontations, but on 18th February, 1885, the Marquess of Queensberry left his card for Wilde at a club that he often frequented. It was inscribed with “For Oscar Wilde, posing Sodomite”. Wilde, at the insistence of Douglas and against the advice of several other friends, decided to sue the Marquess for libel. In order for the Marquess to be acquitted of this charge, he was required to prove that his statement was correct, so he hired private detectives to unearth any evidence of Wilde’s homosexual associations. 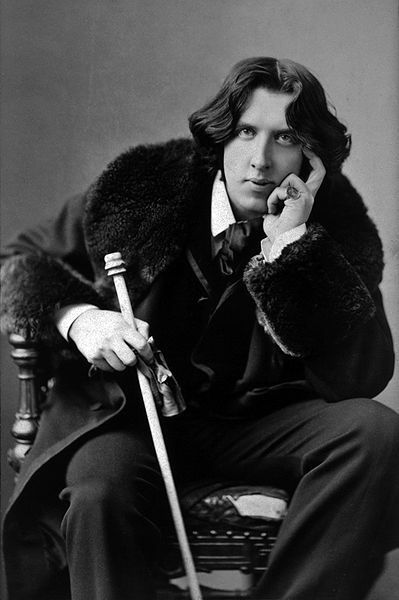 The subsequent evidence that was revealed led Wilde to drop his case against the Marquess, and the next day he was arrested and charged with gross indecency, a term then used to describe homosexual acts with other men. He was found guilty and sentenced to two years hard labour. His resulting legal costs decimated his fortune, and he never recovered financially. Of course, once I had put into motion the forces of society, society turned on me and said, “Have you been living all this time in defiance of my laws, and do you now appeal to those laws for protection? You shall have those laws exercised to the full. You shall abide by what you have appealed to.” The result is that I am in gaol. Wilde wrote De Profundis in 1897, while he was in prison, intending it as a letter to Douglas, however it is unclear whether he ever received it. De Profundis means “from the depths” and is taken from the first line of Psalm 130 of the Bible. Wilde’s writing provides an insight into the pain and suffering that he was feeling during this perilous period of his life. For us there is only one season, the season of sorrow. The very sun and moon seem taken from us. Outside the day may be blue and gold, but the light that creeps down through the thickly muffled glass of the small iron barred window beneath which one sits is grey and niggard. It is always twilight in one’s cell, as it is always twilight in one’s heart. And in the sphere of thought, no less than the sphere of time, motion is no more. The thing that you personally have long ago forgotten, or can easily forget, is happening to me now, and will happen to me again tomorrow. His mother, whom he was very close to, died whilst he was in prison, and his wife left him and refused to allow him to see his sons, whose surnames she changed to Holland. He also lost some friends and had to endure the jeering laughter of the public. He describes his despair in his moments of sorrow, but also reveals how he managed to move beyond the pain and bitterness to come to a greater understanding of himself and the world. I am completely penniless, and absolutely homeless. Yet there are worse things in the world than that. I am quite candid when I say that rather than go out from this prison with bitterness in my heart against the world, I would gladly and readily beg my bread from door to door. If I got nothing from the house of the rich I would get something at the house of the poor. Those who have much are often greedy; those who have little always share. He realised that life does not just contain pleasure, and that there is great importance in sorrow. He describes how moments of sorrow are really holy moments, whereby a person’s realisation of life and themselves grows deeper. Sorrow became his teacher, and taught him things that Pleasure never could. For this reason he believes there to be great value in suffering. It is difficult for most people to grasp the idea. I dare say one has to go to prison to understand it. If so, it may be worthwhile going to prison. Oscar Wilde had hope of recovering his “creative faculty” after his release, intending to pursue his artistic talents away from the spotlight of society, but he only managed to publish one piece of poetry before his death, The Ballad of Reading Gaol. He died of meningitis while living in Paris, France, in 1900, aged only 46. Society, as we have constituted it, will have no place for me, has none to offer; but nature, whose sweet rains fall on unjust and just alike, will have clefts in the rocks where I may hide, and secret valleys where I may weep undisturbed. After Wilde had died, De Profundis was edited and published by his friend Robert Ross in 1905, and did not appear in its entirety until 1962. Whilst I find it very sad that he did not live to publish more work on this new perspective on life, I think De Profundis demonstrates that he used his sorrow in the best way he could, to develop a wider awareness of life the way life is. He discovered a deeper truth and knowledge in a way that he could not without intense grief. For no one can escape suffering, but not everyone can accept it either. But while to propose to be a better man is a piece of unscientific cant, to have become a deeper man is the privilege of those who have suffered. And such I think I have become. De Profundis contains some profound insights into the power that intense sorrow has to transform, and I have hardly done justice to them here. It is definitely worth reading, but be prepared to read it twice, as it is heavy going! Do you see the purpose in sorrow? * All quotes are from Wilde’s De Profundis (1905). 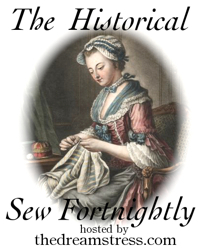 An Ideal Husband: Is perfection best? 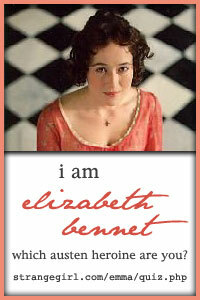 Lady Windermere’s Fan: Which character are you? The 1962 complete edition of De Profundis is only available to buy, as it is still in copyright.